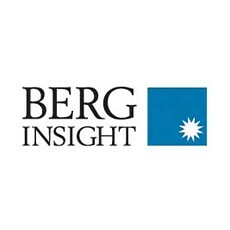 According to a new research report from the analyst firm Berg Insight, the number of fleet management systems deployed in commercial vehicle fleets in North America was 2.8 million in Q4-2011. Growing at a compound annual growth rate (CAGR) of 15.9 percent, this number is expected to reach 5.9 million by 2016. In Latin America, the number of installed fleet management systems is expected to increase from 1.3 million in Q4-2011, growing at a CAGR of 16.6 percent to reach 2.8 million in 2016. Fleet management vendors such as Qualcomm, XATA and Trimble’s PeopleNet remain largely focused on the high-end trucking segment. Non-trucking segments such as delivery, utility and service are addressed by another group of vendors including FleetMatics, Networkfleet and Wireless Matrix. The high-end vendors most commonly offer customised solutions via a consultative sales process, whereas others adopt indirect sales models based on distributors and resellers offering more standardised solutions. Increasingly advanced fleet management functionality is offered by the manufacturers of commercial vehicles active in the region. A change in the market dynamics can be the result of this development, which potentially could shrink the addressable market for aftermarket solution providers in the longer term. “We are likely to see standard line-fitment of fleet management systems on all new heavy commercial vehicle models within five to ten years”, concluded Mr. Andersson.